If you’re facing a possible repair, Volunteer Heating & Cooling offers fast and effective expertise as well as 24-hour emergency service for when you’re in a tough spot. 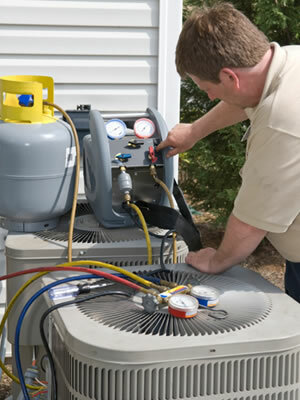 We will evaluate the situation when we arrive at your home, diagnose the problem, and fill you in on our findings. Our NATE-certified team of technicians are all easy to talk to and use top quality replacement parts to fix the immediate problem and quickly get you and your family back to normal. While other companies may give you a band-aid solution that backfires later, we do things right the first time. If we come across concerns during a repair visit, you can be sure that we will share them with you so that you can make decisions in your best interests for long-lasting comfort and peace of mind. Avoid costly breakdowns. Enjoy peak performance. Save hundreds of dollars in energy costs. For a safe and dependable home comfort system, sign up for our preventative maintenance agreement.